Alcon has released the CENTURION® Vision System — a new phacoemulsification (phaco) technology platform designed to provide surgeons improved capabilities in cataract removal. 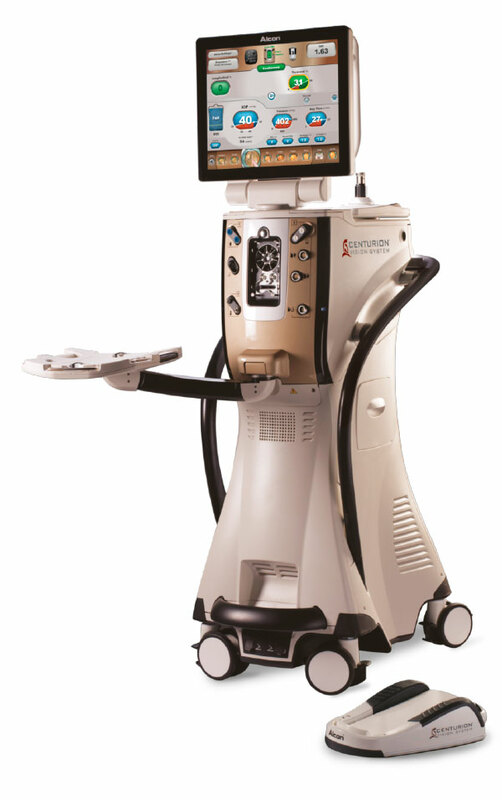 The CENTURION® automatically and continuously adapts to changing conditions within the eye, provides greater anterior chamber stability during each step of the procedure, and places an “optimized energy technology” at the surgeon’s fingertips through enhanced fluidic management and surgical precision. Active Fluidics™ Technology, an automated system that optimizes anterior chamber stability by allowing surgeons to proactively set and maintain target intraocular pressure (IOP) within the eye during the cataract removal procedure.1 This provides enhanced IOP control during the procedure in comparison to gravity fluidics and fixed pressure irrigation; reduces surges due to occlusion breaks; increases IOP efficiency at lower, more natural settings; and eliminates the need to manually adjust fluid pressure. Applied Integration™, an innovative design that enables the new system to be seamlessly integrated with multiple cataract surgical technologies, like Alcon’s LuxOR™ Surgical Microscopes with Q-VUE™ 3-D assistant and the LenSx® Laser to create a comprehensive cataract surgery suite designed to minimize variability at every step of the procedure. The CENTURION® Vision System also offers an improved ergonomic design, wireless footswitch and intuitive touch-screen display.